See Supporters highlighted here and Sponsors highlighted here. TeliaSonera is a company formed from two national telecom agencies, Telia (Sweden) and Sonera (Finland) in 2002. Nowadays TeliaSonera is the fifth largest telecom operator in Europe and continues building on its pioneering spirit and high technology expertise within both fixed and mobile communications inherited from its predecessors. The digital society is a global movement. By being connected, people all over the world can explore, invent and share. And this is Sonera’s business and passion. Everything they do is about bringing the world closer through technology. Tekes is an innovation funding center that provides funding for challenging research projects in companies, universities and research institutes. Tekes helps companies turn promising ideas into viable business by providing funding and specialist services. Innovations helps to renew the Finnish society and economy, and Tekes helps these innovations come true. Suomi.fi is a one-stop portal for Finnish public sector online services for citizens. The portal contains links to sites that provide information and services for citizens. These sites are produced by state and local government organisations, municipalities, nationally operating NGO’s and certain private companies. Suomi.fi gives information for anyone who needs to transact with Finland’s public administration, regardless of whether they reside in Finland or abroad. The portal includes texts, service information, e-services and forms. Suomi.fi is available in Finnish, Swedish and English. 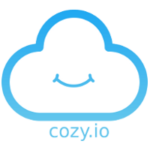 Meeco is a new service to help you manage life and all your important digital relationships. It allows you to add, organise, edit and securely share all your information. Meeco is your home to a growing collection of apps (called boards) that give you access to your suite of privacy, browsing and personal analytics experiences. You personally curate all boards, which makes your Meeco experience totally unique. Your activity, preferences and profile data is securely synced between all of your devices, and of course anything stored by Meeco is encrypted. 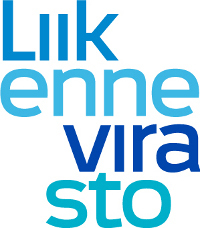 Liikennevirasto (Finnish Transport Agency) enables smooth, efficient and safe travel and transport. They are responsible for Finland’s roads, railways and waterways and for the development of Finland’s transport system. The Finnish Transport Agency strives to act in a responsible, effective and innovative way to optimise the effectiveness of the transport system, improve traffic safety and enhance sustainable development in all regions. Our experts develop services to facilitate travel and transport, thus promoting the development of a well-functioning society. It is their responsibility to maintain the high quality of Finnish infrastructure, which in its turn enables mobility services, robotisation and digitalisation.